KARACHI: Metropolitan Commissioner Dr Saifur Rahman presents the winner’s trophy to Quaid-i-Azam XI basketball team on Friday. 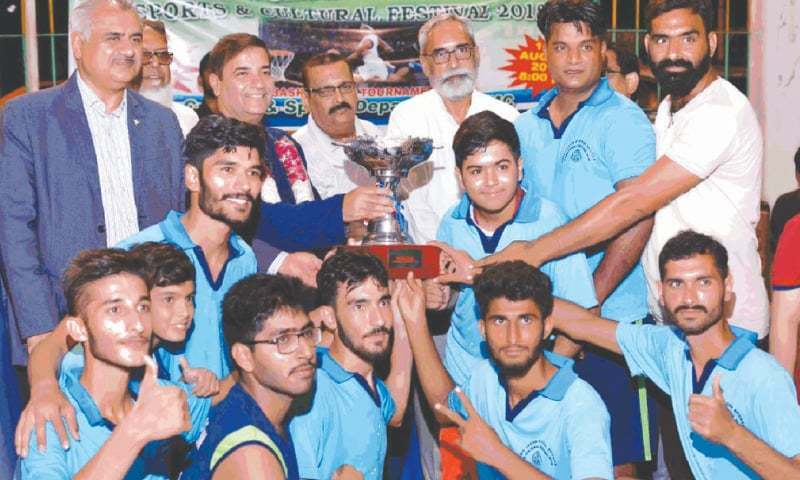 KARACHI: Quaid-i-Azam XI beat Allama Iqbal XI in a nail-biting final by 49-46 to win the KMC Independence Day Sports Festival basketball tournament here at Arambagh courts on Friday. Four teams participated in the tournament. For the winners, Farhan Khan (15 points), Tahir Naqqash (11 points), Azim Wasti (11 points) were the main scorers while for the runner-up, Asad Imam (12), Fazeel Ahmed (12 points) and Raj Kumar (8 points) played superbly. In the closing ceremony, KMC Metropolitan Commissioner Dr Syed Saifur Rehman was the chief guest and distributed the prizes and trophies. 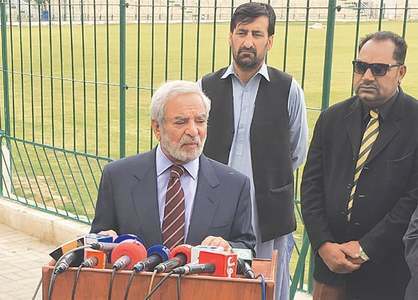 Later, in his speech, he said Mayor Karachi is very keen to uplift Arambagh courts with top facilities and KMC will soon announce measures in this regard. He praised KBBA for holding regular events and announced that an inter-district basketball championship will also be held at the venue in September.